For the first time in its history the Smithsonian’s National Museum of African Art opened an exhibition on the continent of Africa. “Chief S.O. Alonge: Photographer to the Royal Court of Benin, Nigeria” opened at the National Museum, Benin City, Nigeria, on Friday, Sept. 29 and is to remain on permanent display. The exhibition showcases the work of Nigerian photographer Chief S.O. 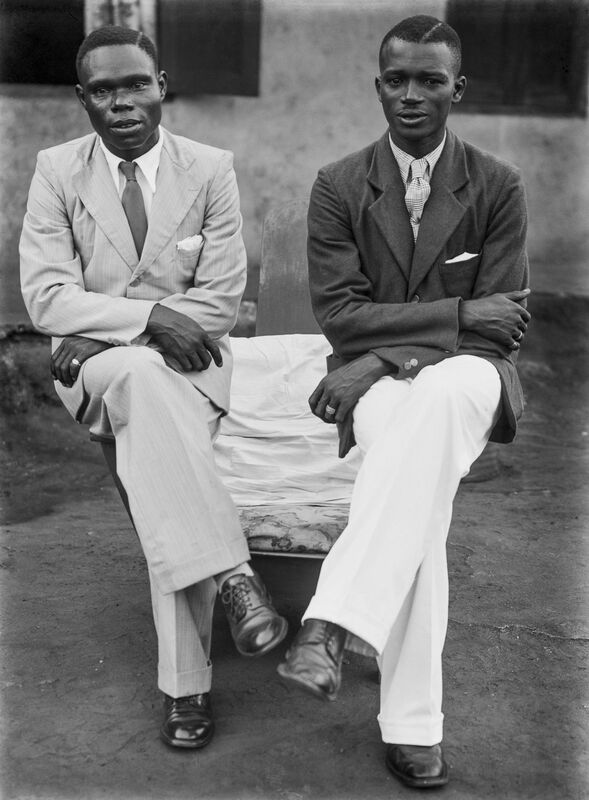 Alonge, who was the first official photographer of the Royal Court of Benin, in conjunction with royal arts from the Benin kingdom. Four sisters dressed alike, seated on a couch. Photograph by Chief S.O. Alonge, c. 1942 – 1966. Ideal Photo Studio, Benin City, Nigeria. On display in Washington, D.C from Sept. 17, 2014 through July 31, 2016, the exhibition’s section panels, banners and prints are a permanent gift from the Smithsonian to the National Museum of Benin. 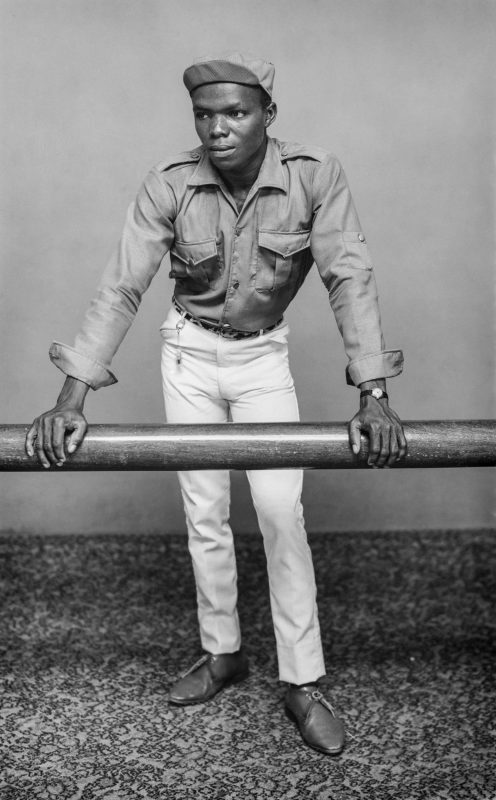 Co-curated by Amy Staples, the National Museum of African Art’s senior archivist, “Chief S.O. Alonge: Photographer to the Royal Court of Benin, Nigeria” represents a unique collection of archival photographs documenting the traditional arts, culture and social history of the Benin-Edo peoples. 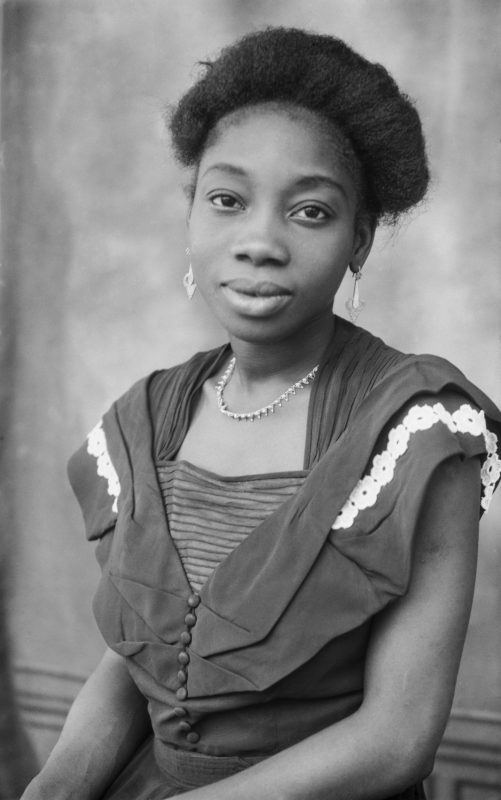 Head shot (bust) portrait – young woman [Mrs. Agbontaen, as girl]. Photograph by Chief S.O. Alonge, c. 1942 – 1966. Ideal Photo Studio, Benin City, Nigeria. The collection of historic photographs was captured on Kodak glass-plate negatives and documents more than 50 years of the ritual, pageantry and regalia of the obas (kings), their wives and retainers. 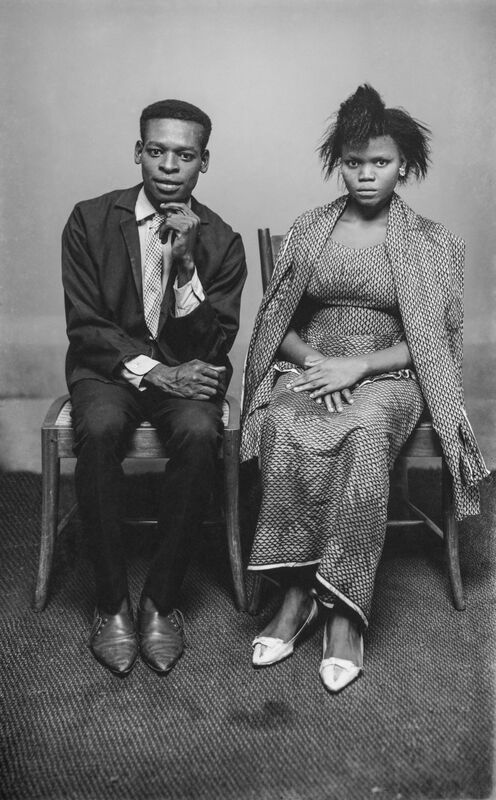 Alonge’s photographs reveal a unique insider’s view of the Benin royal family and court ceremonies, including historic visits by Queen Elizabeth (1956), foreign dignitaries, traditional rulers, political leaders and celebrities. The collection preserves an important historical record of Benin arts and culture during the periods of British colonial rule and the transition to Nigerian independence during the 1950’s and 1960’s. The Chief S.O. Alonge exhibition celebrates the role Nigerian photographers have played in documenting their own history and addressing issues of identity, nationhood and memory. Youth with jeans and cap; suede lace-up shoes; rug they used in client photos. Photograph by Chief S.O. Alonge, c. 1942 – 1966. Ideal Photo Studio, Benin City, Nigeria. 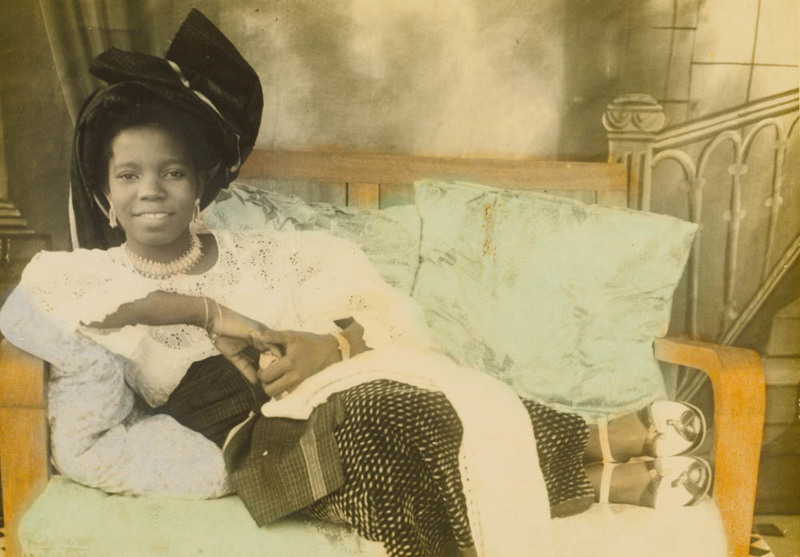 Solomon Osagie Alonge learned the craft of photography as a youth in Lagos during the 1920s and saw himself and his profession as an honorable and distinguished calling. He demonstrated an inclusive documentary perspective in his efforts to photograph many aspects of the world around him. 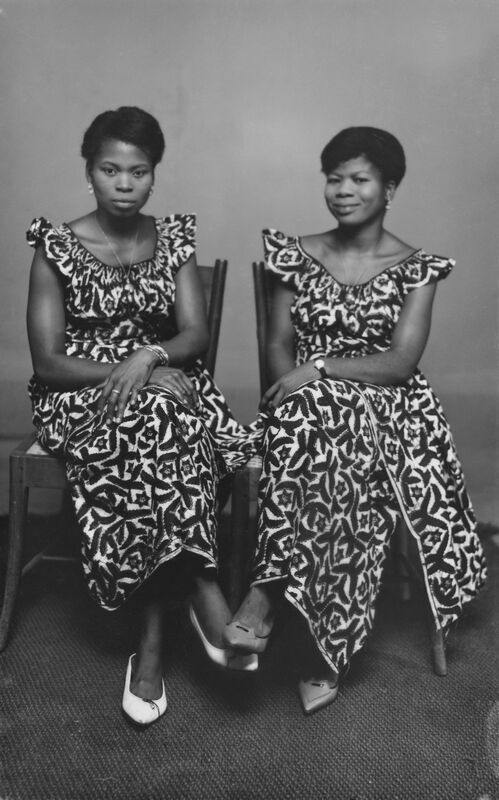 In 1942, Alonge established the Ideal Photo Studio in Benin City and documented colonial society, the establishment of churches and businesses, and the formation of new civic organizations, athletic clubs and social groups like the Benin Social Club. 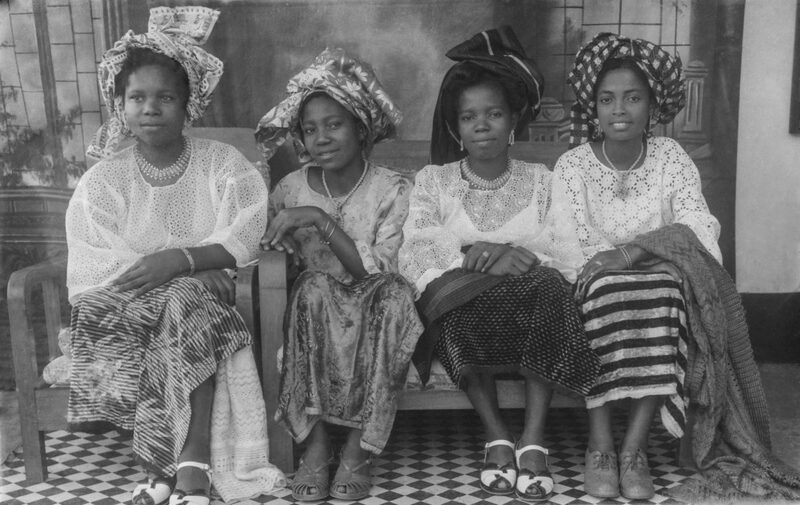 As a commercial photographer, Alonge photographed individual studio portraits and group photographs, preserving a visual record of the everyday lives and social history of Benin City. Alonge’s studio portraits illustrate how local Benin-Edo residents presented themselves to the camera and engaged with the practice of photography during the early-to-mid-20th century. Two women dressed alike. Photograph by Chief S.O. Alonge, c. 1942 – 1966. Ideal Photo Studio, Benin City, Nigeria. An illustrated volume Fragile Legacies: The Photographs of Solomon Osagie Alonge (June 2017) officially launched the exhibition. It includes essays by National Museum of African Art curators and Nigerian artists, photographers and scholars who explore the contemporary significance of Alonge’s photography and the relationship of modern photography to the traditional visual arts of the Benin kingdom. Fragile Legacies is a joint publication by the Smithsonian and the National Commission for Museums and Monuments in Nigeria and is published in association with Giles Ltd. London. Several authors will be available for book signing at the book launch, where Fragile Legacies will be for sale as well as in the National Museum store.